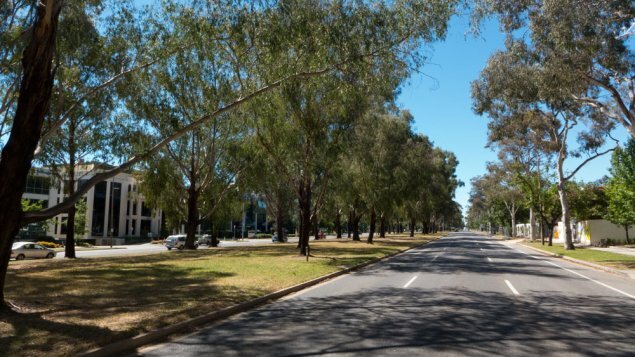 The ACT Government’s Land Development Agency (LDA) circulated a media release late last week that I think was meant to be good news and was supposed to inform us that something is about to happen along Northbourne Ave. Apparently the LDA/Chief Minister’s Directorate is very happy about a decision by the Heritage Council to list seventeen buildings. They have not explained why, but somehow this will now “allow for renewal of the area to create a modern and vibrant entrance to Canberra”. (I see too many uses of the word ‘vibrant’ there —any use of that vague word should always be taken as a warning). As I have I have suggested before, these agencies do not do media very well. Yes, it seems that the heritage body has agreed to some listings, but there is nothing on anyone’s websites to say which ones have been heritage listed. In fact the media release itself, along with any useful details, is yet to be loaded to the LDA website. The best guess is that this is about an agreement over the demolition, or not, of some of the Northbourne Towers and other public housing buildings. Unclear messages such as this media exercise is very annoying! Meanwhile I am very aware that over in the other planning agencies there has been a load of meetings around the complex urban design issues involved with enhancing this important gateway. So despite the obscurities in the LDA’s media release, there has been some thorough planning by other bureaucrats, volunteers and industry bodies. Those involved are hoping that this hard work and any good ideas now survive the bureaucracies within the developer influenced LDA. Fingers are crossed. As many have said elsewhere, the issue will be the quality of the developments. Given the government’s many environmental agendas, it is hoped that these 21st century buildings and landscape works will address all the crucial environmental and climate change issues – and not be unwanted examples of tokenism, green wash and bland box structures. More fingers are crossed! In other words besides being a ‘modern and vibrant’ entrance to Canberra, the Northbourne corridor should be an introduction to how seriously Canberra is about aesthetics, architecture, the landscape and the environment. The most positive message to be gleaned from this latest LDA media release is that maybe something is about to happen to this vital piece of Canberra’s landscape. We wonder what it is to be! Even more fingers are crossed! And one last word — again I ask — could these agencies change their method of communications and provide useful, clear, and factual information — and cease producing annoying spin and confusing propaganda.